No sooner had President Obama hit the mid-term campaign trail with a speech in Illinois, than President Trump fell asleep…during that very speech. Well, that at least was his claim. And who are we to doubt him? Perhaps it's best not to answer that one. But we can suggest some pointers for you to keep your audience awake. Now, there might be lies and untruths in politics at the best of times. But it's also an observable fact that you will, on occasions, have to keep your audience awake. David Cameron struggled with a drowsy audience in his Diwali speech. And, Vice-President Joe Biden managed to nod off during a budget speech. It happens. But it's not typically so public. You might not have President Trump slumped in front of the television as Melania watches the denouement of the President Obama speech in Illinois. But, it might be the best next thing. Because you might have the after-lunch slot on a Friday afternoon. Or you might have to give your speech after the sales team party the night before. You definitely need to keep your audience awake. Because we can't all expect to give a Boris conference speech. 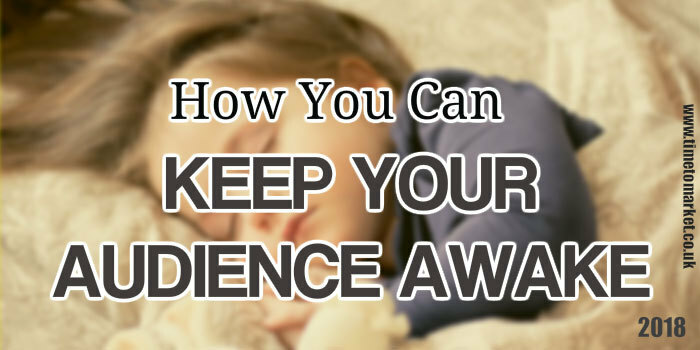 So, without over-doing it, here are 3 simple tips to help you keep your audience awake. Take advantage of your grace period at the beginning. Your audience is on your side…for the moment. So, aim to set common ground with your audience and they will reciprocate. Because your job is to set the tone for everything that’s going to follow and build interest for the rest of your speech. Your words really do matter. So, choose your words well. Just think of their complexity, meaning and ease of understanding. Complex words might be tricky for your audience. And then, the meaning of your words might be open to interpretation by your audience. Also some words might possibly be misunderstood. And when your audience doesn't understand you, then they will switch off. Aim for modulation in your voice. Few of us can lay claim to a Shakespearian theatrical tone. But that’s not a problem. So, for starters, aim to change the tempo of your speech with a change of pace. Try slow and considered. Then try fast and furious before reverting to your normal pace. Whatever the event, alternation will engender interest. Remember to change your pitch with certain words or key phrases. That’s because your audience will notice your change of pitch. Your signal will engage their interest. You can also change the volume of your speech. Use loudness for emphasis. And, when you speak with a quiet voice, your audience will listen intently to hear. Perhaps you can repeat a phrase that you say really quietly. Because that way you give your audience the chance to listen again. These simple techniques can help you keep your audience awake in your next speech. From 20 minutes of polite attendance to 20 minutes of total interest. It's got to be worth it. You can always discover more public speaking tips with our regular series of tips, podcasts and videos. 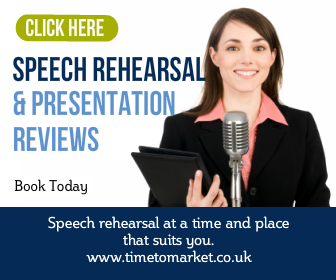 And with our wide range of subjects, there's bound to be something for your next speech. 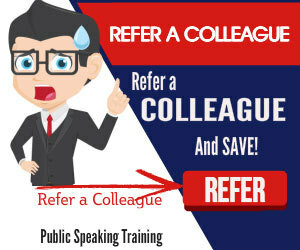 And, when you are ready to give your own public speaking skills a real boost, then please don't hesitate to get in touch when the time is right.